Black tourmaline is a particular variant of tourmaline, a crystalline borosilicate mineral. It is thought that the particular hue of black tourmaline is due to traces of titanium embedded in the minerals molecular structure. Black tourmaline, sometimes referred to as schorl, is one of the most popular semi-precious gemstones in the world and it is commonly associated with the force of electricity and the month of November. Due to tourmaline’s wide range of possible colors, the gem is often mistaken for other precious stones. In fact, the story goes that the Spanish conquistadors who found a greenish variant of the stone in South America were convinced the stones they had found were emeralds. This multi-faceted appearance is reflected in the origins of the name “tourmaline”, which is said to come from the Sinhalese word “toramali”, which means “mixed gem.” That being said, by far the most common variant of tourmaline is black tourmaline, which is believed to compose up to 95% of all natural tourmaline specimens. Most commonly, tourmaline forms in locations with high heat and pressure, such as hydrothermal vents and subterranean caverns. The size of these crystals can vary from tiny shards just a few millimeters long to massive specimens weighing over 100 kilograms. Tourmaline is an old gem, with records indicating that Native American peoples have used the gem for decorative and religious purposes since pre-history. Commercial mining of tourmaline began in the United States in the 1800s, following the discovery of tourmaline deposits in Maine. Today, black tourmaline is one of the most popular gems in the world, well-known among lapidaries and collectors. Some tourmaline pieces have sold for thousands of dollars, and one can become quite wealthy from discovering just a single sizeable deposit of tourmaline. The majority of black tourmaline mined in the world comes from Brazil, Africa, and to a lesser extent, Sri Lanka and the United States. Like all species of tourmaline, black tourmaline is a boro-silicate mineral with a trigonal crystalline structure. 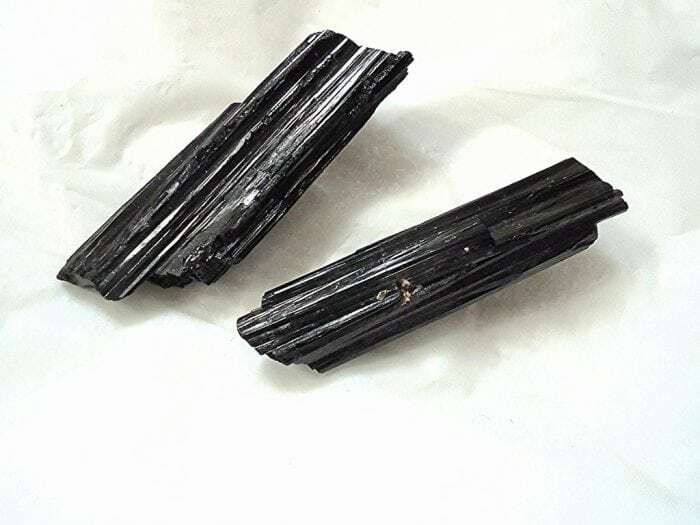 Also like all species of tourmaline, the actual chemical composition of different specimens of black tourmaline can differ due to it possessing many isomorphic chemical forms. The general chemical formula of the tourmaline mineral group can be expressed as XY3Z6(T6O18)(BO3)3V3W, where X, Y, Z, T, B, V, and W represent positions in the atomic structure that can be occupied by various alkali metals, halogens, metals, and semimetals. Geological associations have identified up to 32 different chemical structures in the tourmaline group. In particular, the elements responsible for the characteristic black hue of shorl are titanium, iron, and manganese. 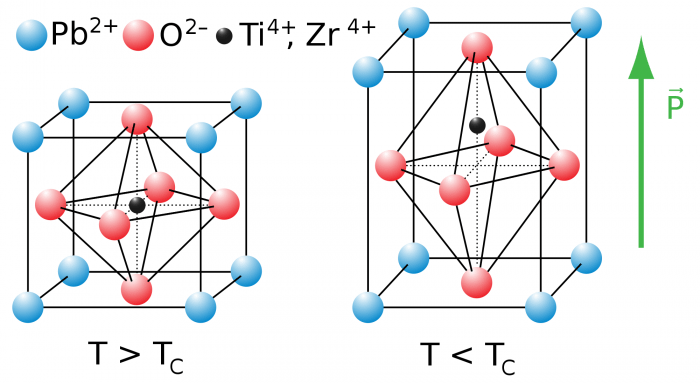 These transition metals normally are situated on the octahedral Y and Z sites. The atomic structure and physical location of these transition metals result in black tourmaline having an abnormally high absorption spectrum at approximately 416 nm. Considering that the wavelength of visible light is between 400-700nm, this means that the titanium, iron, and manganese cations and anions essentially absorb all visible light, thus giving the crystal its deep black color. The particular molecular structure also makes black tourmaline a very durable mineral, ranked at a 7.2 on the Mohs hardness scale. Black tourmaline is also relatively inert, meaning that it is very resistant to chemical weathering and resistant to color fading due to radiation. In various mystic groups and New Age circles, black tourmaline is associated with the forces of electricity and electromagnetism. This association is not entirely without reason as, crystal pseudoscience notwithstanding, black tourmaline does have some interesting electrical properties. Tourmaline is a pyroelectric material, indicating that it will generate an electrical field when heated. 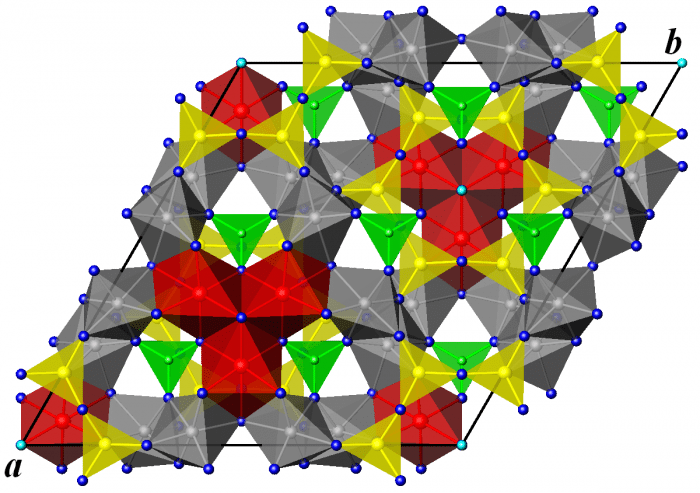 Heat deforms the molecular structure of the crystal, creating a voltage potential. The first description of tourmaline exhibiting the pyroelectric effect comes from Greek naturalist Theophrastus, who noticed that when heated tourmaline attracted small bits of straw and sawdust. Tourmaline is a piezoelectric material, as it can transform mechanical stress into electric force. 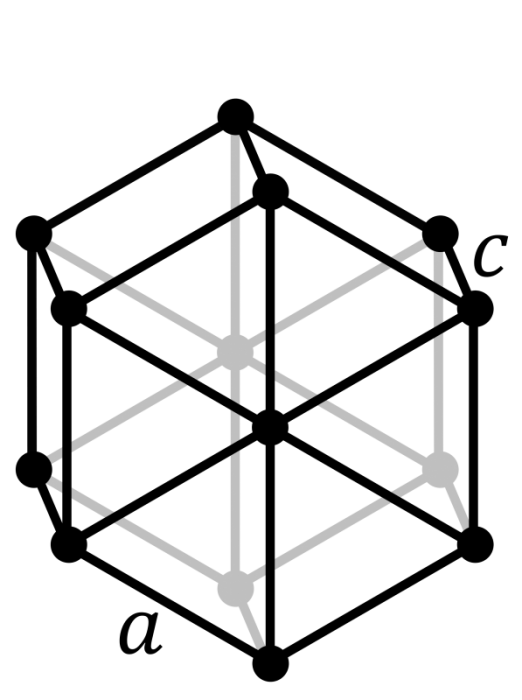 The application of mechanical stress deforms the crystal molecular structure, creating a net difference in the distribution of electric charges. The result is that the material can be used to store and transfer electric charges. Pyroelectric and piezoelectric materials have found many applications in sensor, generator, and lighting technologies. Black tourmaline also has some interesting optical properties. Black tourmaline is a dichroic crystal meaning that it has different absorption coefficients for different polarization of light. Light that is emitted perpendicular to the crystal formation’s main axis is strongly absorbed while light that is emitted parallel to the axis is refracted. This effect gives black tourmaline its unique color palette, with the amount of light being absorbed differing on different surfaces. of the crystal. The dichroic nature of the mineral couple with an irregular crystal formation can result in a tourmaline gem that is multiple colors. Further, some tourmaline crystals have such a structure that they will appear different colors depending on how light is shined on them. 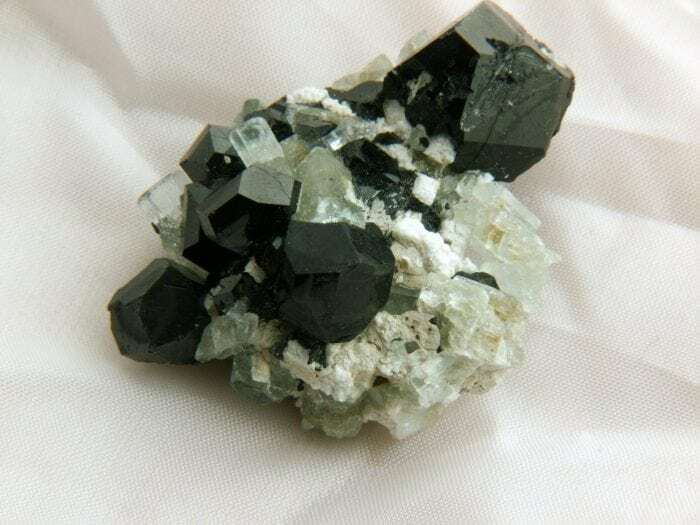 The optical properties of black tourmaline mean that it has also found a home in the laboratory, where it has frequently been used as a natural mechanism for polarizing and refracting light for experiments. In addition, black tourmaline is one of the few species of tourmaline, the other being yellow tsilaisite, that has a high magnetic susceptibility. The magnetic properties of black tourmaline are due to concentrations of iron. 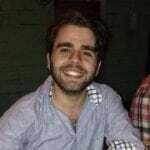 Alex is a graduate of UMSL with his MA in philosophy, with an area of concentration in the history and philosophy of science. When he isn't nerdily stalking the internet for science news, he enjoys tabletop RPGs and making really obscure TV references.